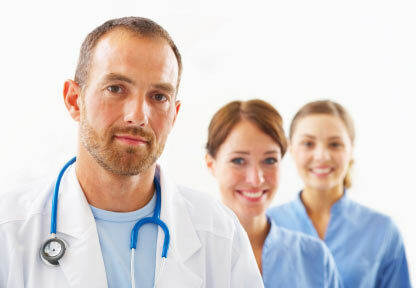 Our physicians represent every specialization of the medical community. Routinely they review medical records for the purpose of determining whether the services for which the claims are submitted are reasonable, appropriate and medically necessary. The medical opinions expressed by our consultants depend on the documentation provided by the treating physician. Each treating physician is required to document the elements of treatment given for the diagnosis. Where the claimant received treatment is irrelevant to this portion of our handling, as medically prudent treatment is the same throughout the medical community. We encourage submission of complete medical records on each claim we review. Physician Peer Review consists of medical necessity, causation and documented charges. Usual and Customary variances are completed by inside personnel using CPT fee guidelines. All medical reviews include Physician’s opinions and breakdown of medical necessity, causation , undocumented charges and usual & customary. All questions, concerns and comments are addressed. Chiropractic Reviews - Price varies between $750 and $1500; based on the size of the file the expert has to review and complication level. MD Reviews - (Ortho & Neuro) - Price varies between $1000 and $3500; based on the size of the file the expert has to review and complication level. MD Reviews - (All other specialities) - Price varies between $1000 and $2500+; based on the size of the file the expert has to review and complication level. Medical Opinion - Price varies between $1000 and $3500. Physician reviews the medical record for care and treatment of the claimant then gives an opinion and answers any specific questions. Actual billing is not reviewed or addressed in this report. Designation Only - If you have an expert designation deadline but do not have all of the records, we have authority from numerous experts to designate them ahead of time. You must notify NAC prior to designating one of our experts. If we receive the case, the designation fee is waived. If the case settles with no peer review, the fee is $350. Film Review - Radiological re-read of films. Cost $690, one body area. Each additional film, add $150 per area. Jumbo Case - All medical reviews include Physician’s opinions and breakdown of medical necessity, causation, undocumented charges and usual & customary. All questions, concerns and comments are addressed. When bills total more than $50,000 and/or there are extensive records, our cost will vary. Also; in some instances we will not know expert fees until the review is completed. Whenever possible we will send notification when the invoice (or 2 invoices, doctor and NAC) will exceed $2,500. Pre-approval from requestor will be obtained before handling, when requested. Peer Review Reopen – Our original report is less than eight (8) months old. After 8 months it is considered a full report. The additional bills do not add up to more than $3,000. Additional billing over $3,000 will be considered a full report. COPY FEE - Any case with records over 2” in height (or 500 pages) will be charged a copy fee of $.25 per page. RESEARCH FEE - A fee of $90.00 per hour will be charged on any case wherein we are asked to locate/retain a physician in a particular area or State that we do not have. Non-litigated files are reviewed by a Nurse for appropriate billing practices and to assure the services billed are supported by the proper medical documentation. MEDICAL NECESSITY, LENGTH OF TREATMENT OR CAUSATION ARE NOT ADDRESSED IN THESE REVIEWS. Basic Nurse Review: Summarizes the file identifying any billing errors, obsolete codes, unusual codes and/or unrelated codes. The report gives the claims professional a basis by which to negotiate and settle their claim without the need for litigation. The report makes recommendations per ODG guidelines. Basic Nurse Review with Paid v. Incurred Chart: Applies the same applications as above but also includes a paid v. incurred chart. Comprehensive Nurse Review: Applies the same applications as a basic nurse review, but also includes a line by line audit for usual & customary fees in the geographical area. Progressive Option: Upon completion of the nurse review; if we feel the file needs a medical doctor review, it will be automatically submitted at our listed peer review prices. 36% of our nurse reviews have warranted a peer review. Services are reviewed and diagnostic versus treatment is separated. Can be utilized alone or in conjunction with a Physician Medical Review. An independent physician will examine the claimant. Physician will be based on the specialty you indicate under special instructions on the front of this form. Physician Peer Review and I.M.E. performed by the same physician with two separate reports. $39 per hour plus $.35 per mile and any medical records fees charged by the providers.